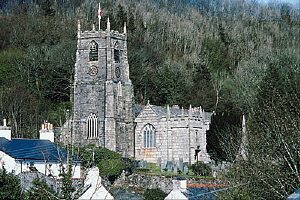 Parish churches tend to be the oldest buildings in most towns and villages throughout britain. Quite often the current building sits on a much older site of religious significance, dating back many centuries. 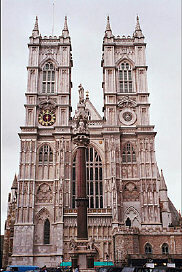 Most cities in Britain have a cathedral, and city status was traditionally granted to towns with a cathedral. 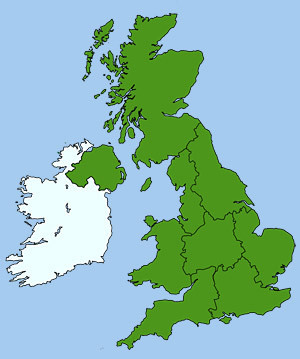 This initially started in the 1540s, when King Henry VIII founded his Church of England diocese system (districts under the administration of a bishop). However this association is not strictly true, as there 18 cities in Britain that do not have have a cathedral and around 26 towns that actually do have one. During the medieval period (5th to 15th century), well over a thousand monasteries, nunneries, friaries, priories and abbeys were founded across Britain, as places for monks, friars and nuns to accommodate and practice their religious beliefs. Very few remain intact, mainly due to Henry VIII's Dissolution of the Monasteries in 1538. There are hundreds of ruins of religions houses to be found across the UK, many of which are open to the public, such as those at Glastonbury, Fountains Abbey, Tintern, Rievaulx and St Mary's at York. In 1538, Henry VIII took a decisive step against the power of the church, when he began the Dissolution of the Monasteries. Initially the small less powerful Monasteries had their property confiscated and their buildings destroyed or sold off. This was followed the next year by the same fate for the larger Monasteries. 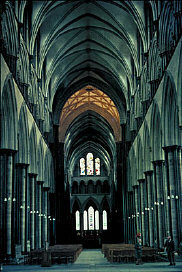 Some Abbeys and Monasteries buildings were not totally destroyed and parts have been incorporated into many Cathedrals and churches. Many were raised to the ground, such as Sawtry Abbey, of which nothing remains except for its buried foundations. Others currently still stand in ruins such as Bury St Edmonds and Glastonbury.